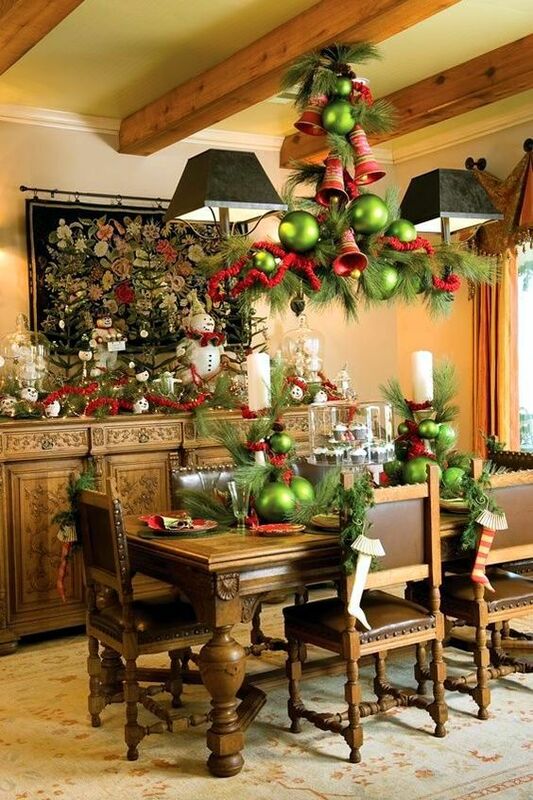 Christmas isn’t here yet but to get perfect décor, to create an ambience and a fantastic holiday feeling, preparing beforehand is necessary. 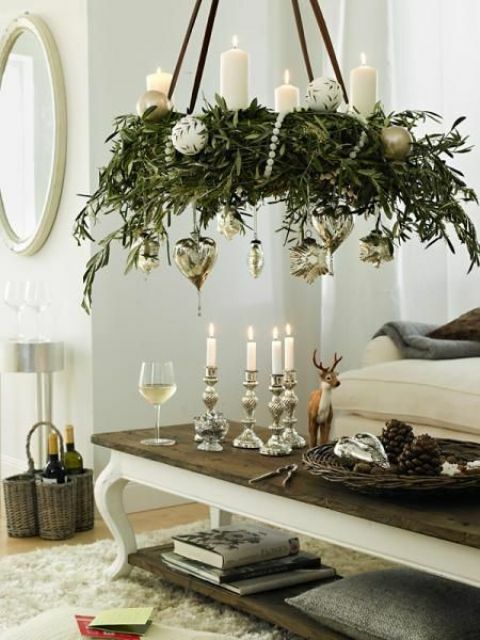 When we hear ‘Christmas decor’, we first of all think of wreaths, garlands, lights and ornaments but not about chandeliers but we should. 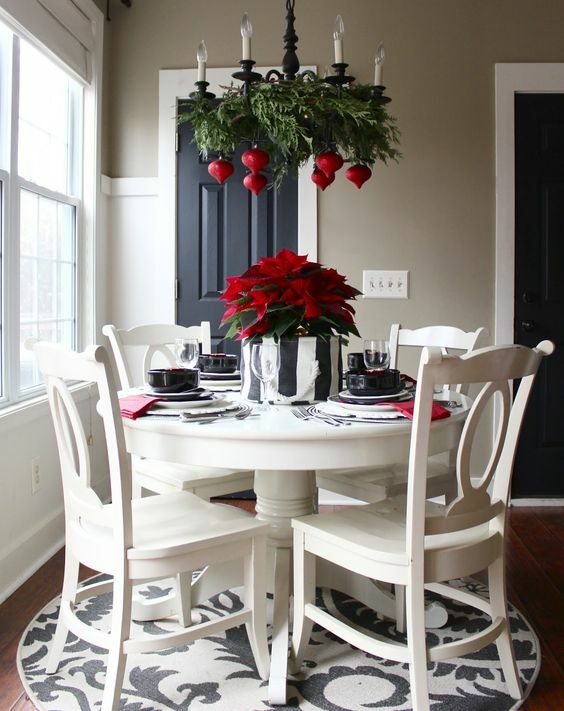 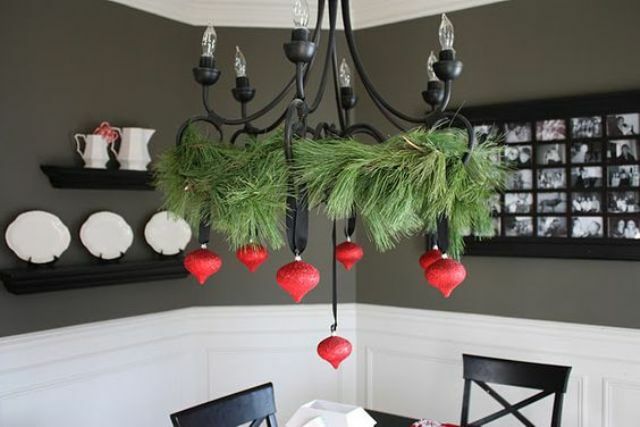 Decorating a chandelier or making one for the holidays is a great and easy to DIY idea that allows bringing a festive spirit in in just a few minutes. 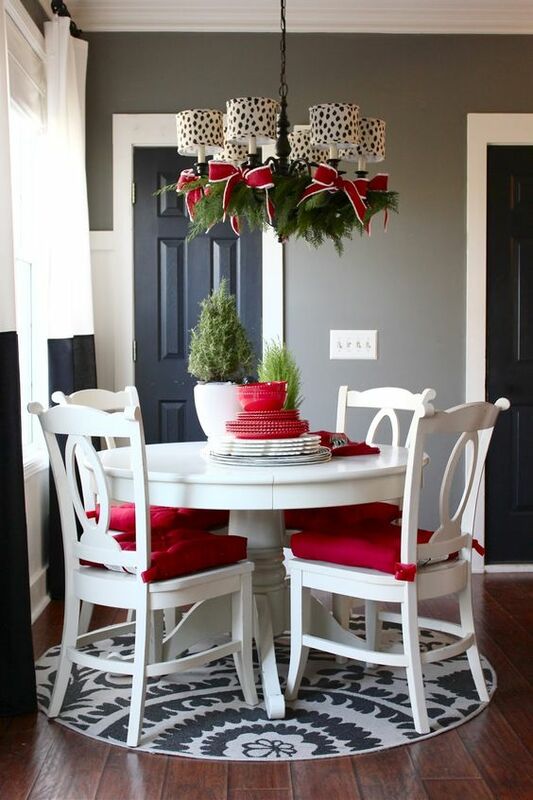 The cutest idea you can realize is making a wreath Christmas chandelier for the holidays. 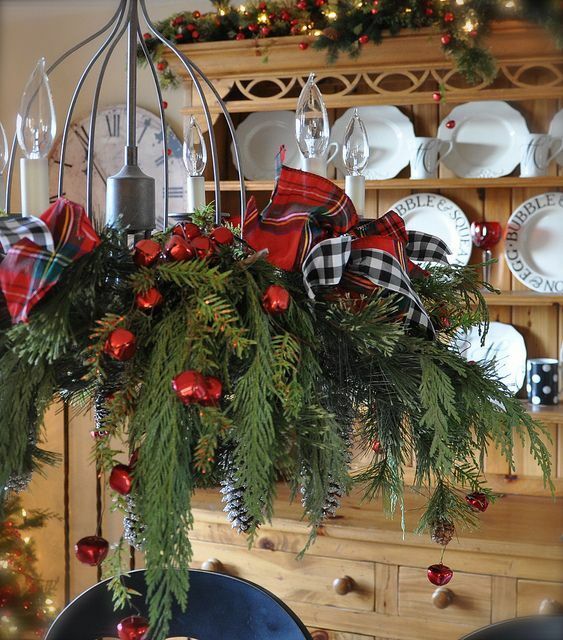 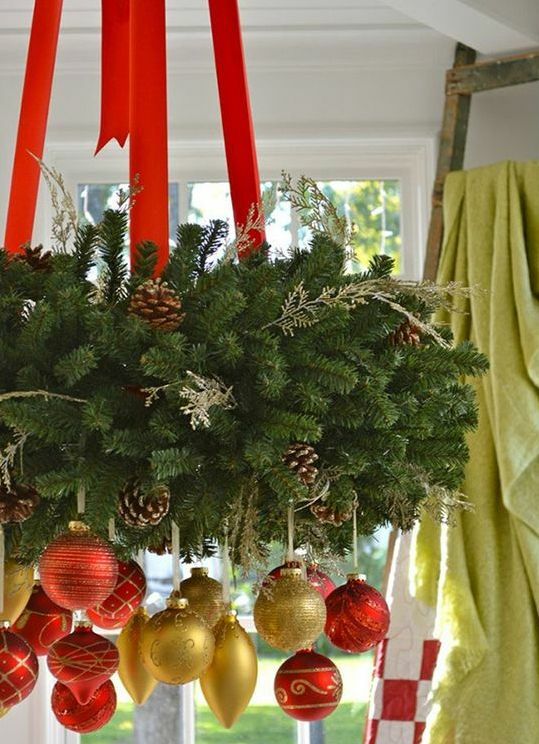 You can make it of real or faux evergreen branches, hang on beautiful bold ribbon and then add decorations. 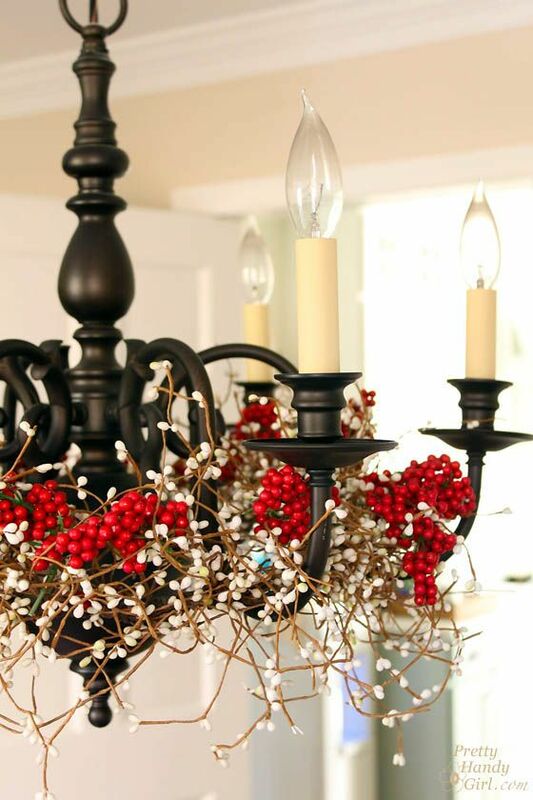 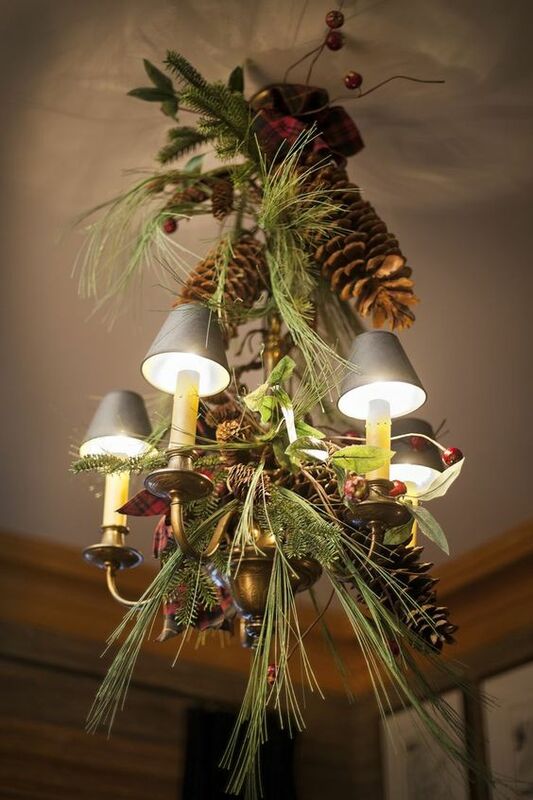 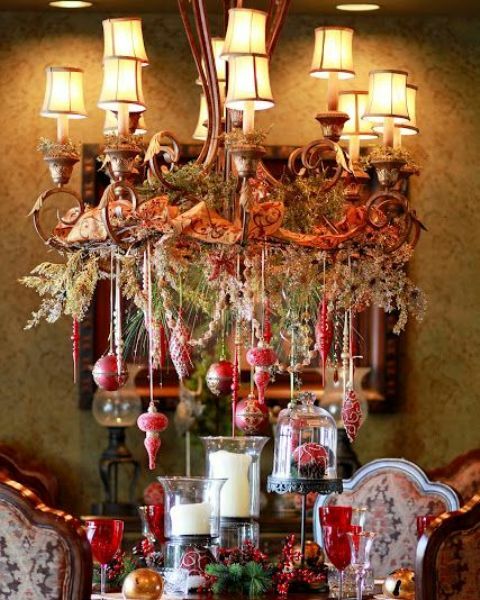 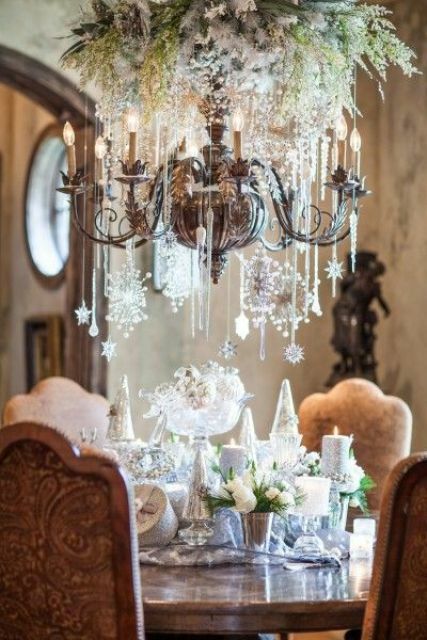 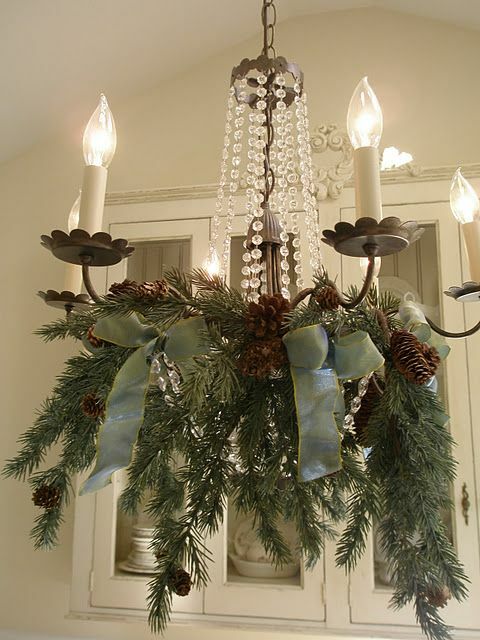 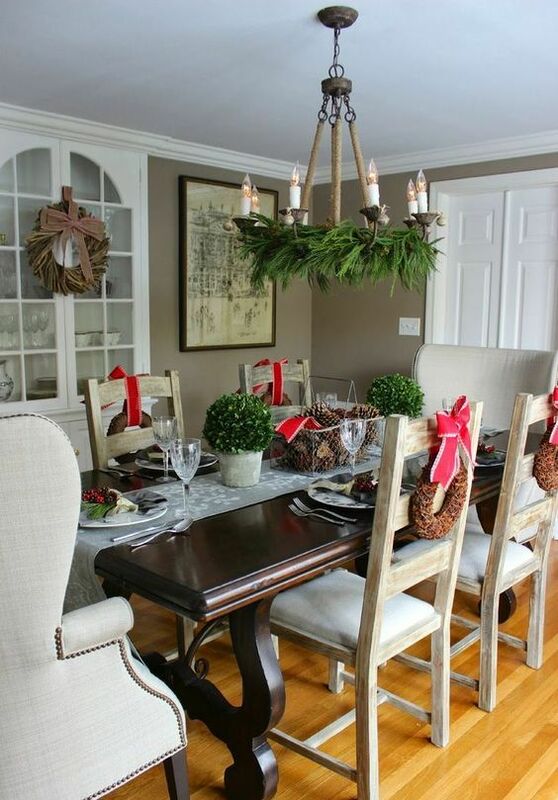 Candles, ornaments, pinecones, flowers, berries, bows and lights will spruce up your chandelier very well. 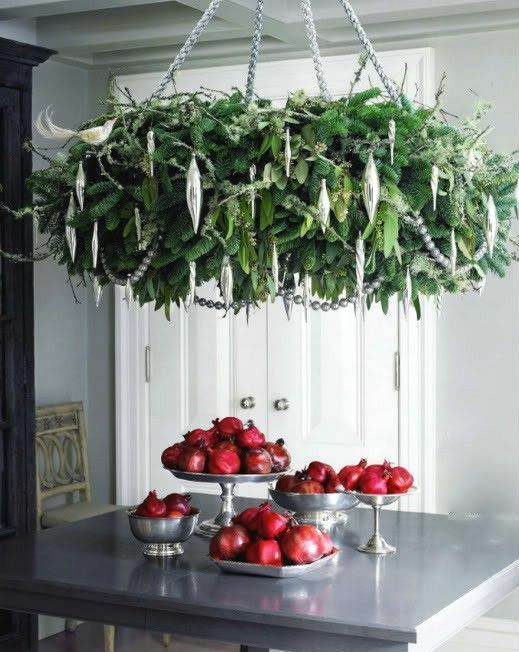 You can even create a fantastic two or three-tiered chandelier to make a statement. 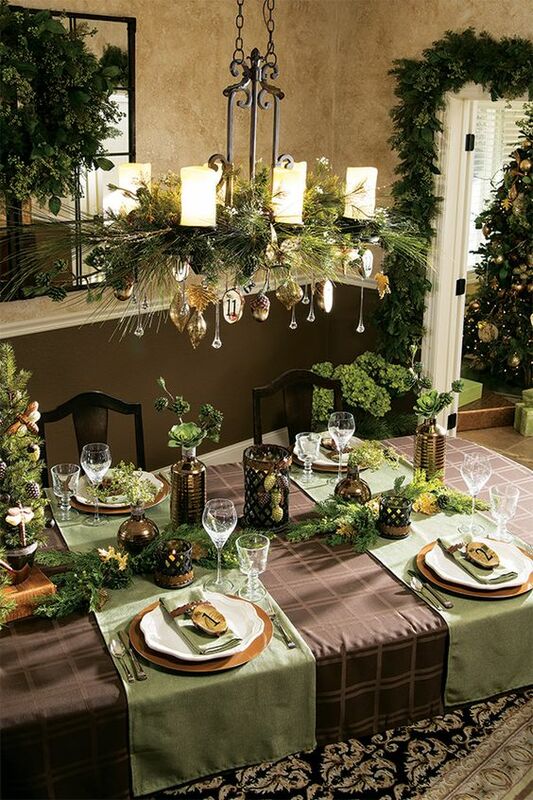 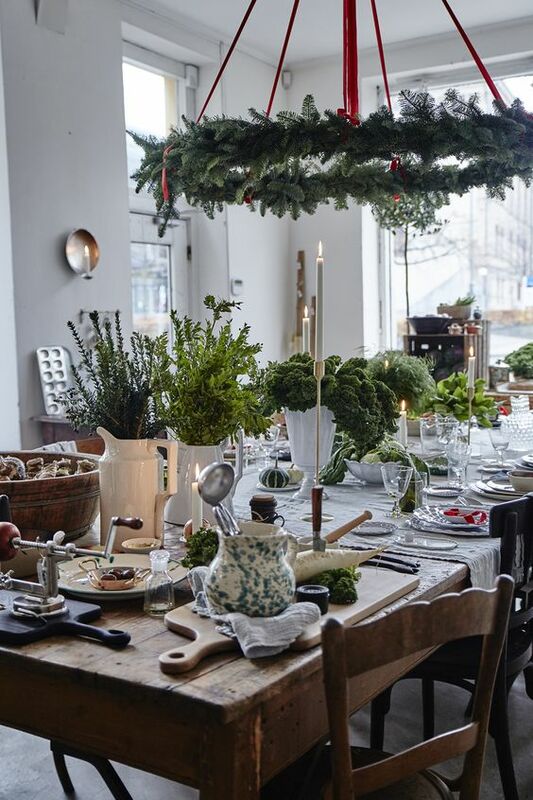 Such décor looks amazing anywhere, from your kitchen and living room to even a winter holiday wedding. 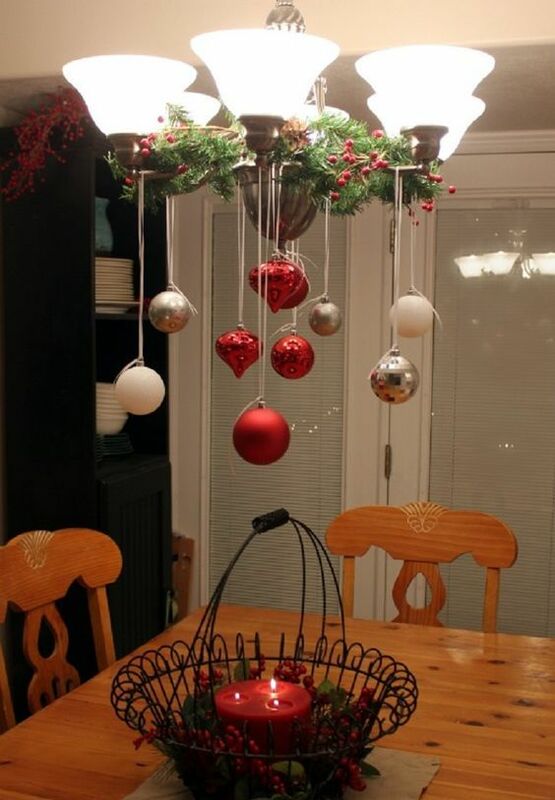 There are a lot of tutorials on the web to choose from, so if you don’t know how to make one, this isn’t a problem. 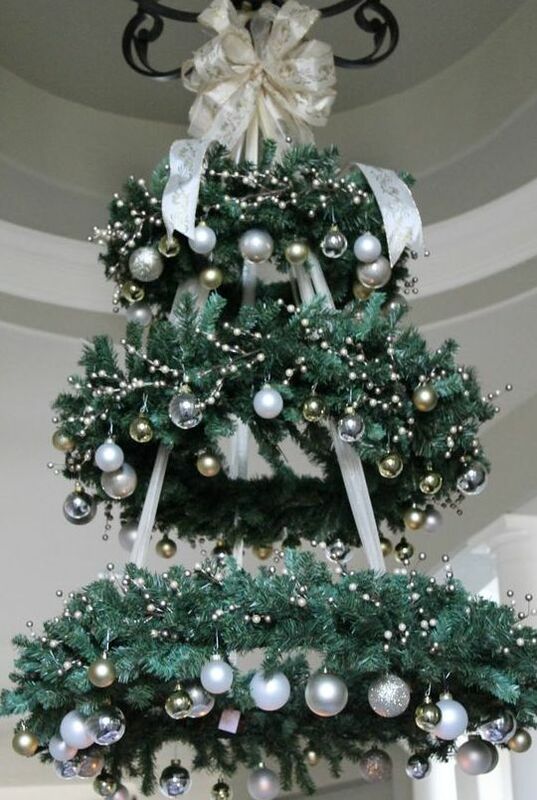 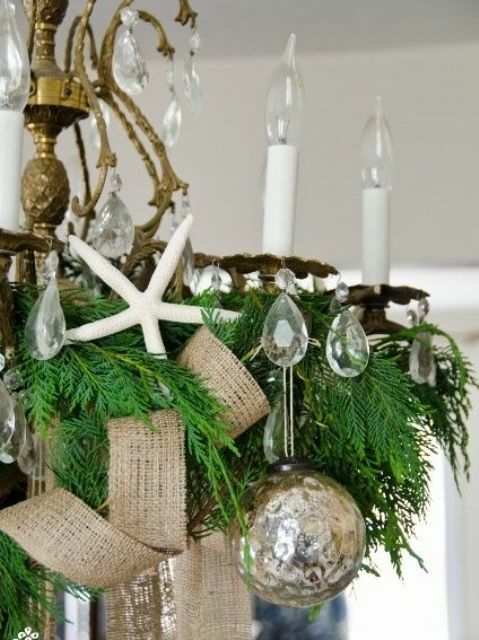 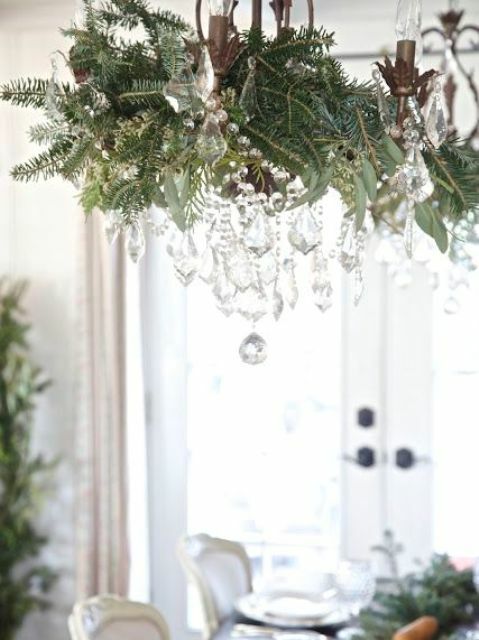 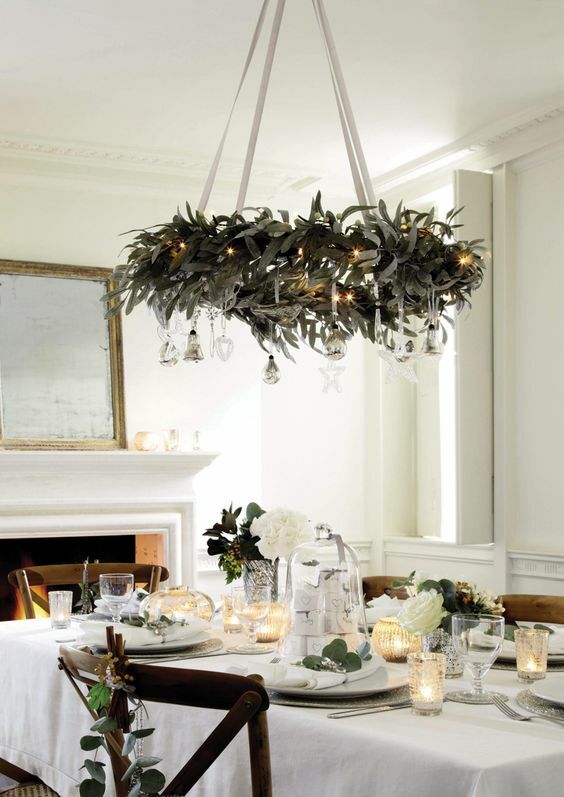 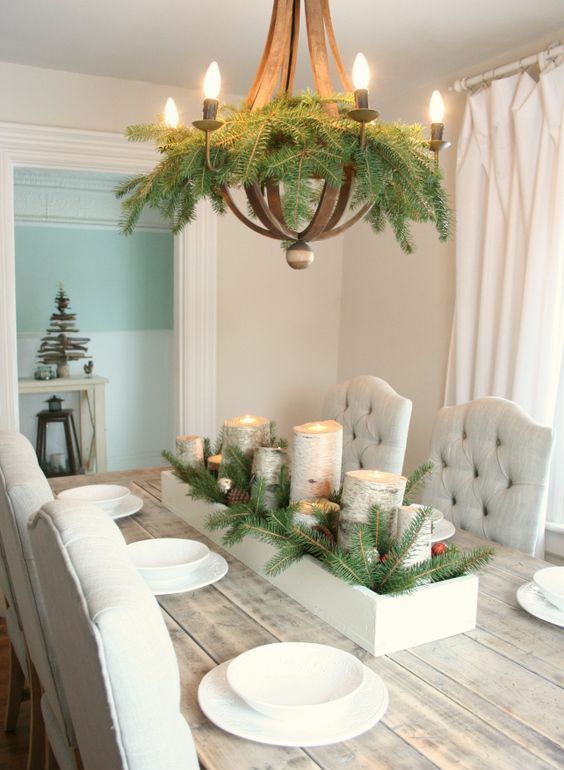 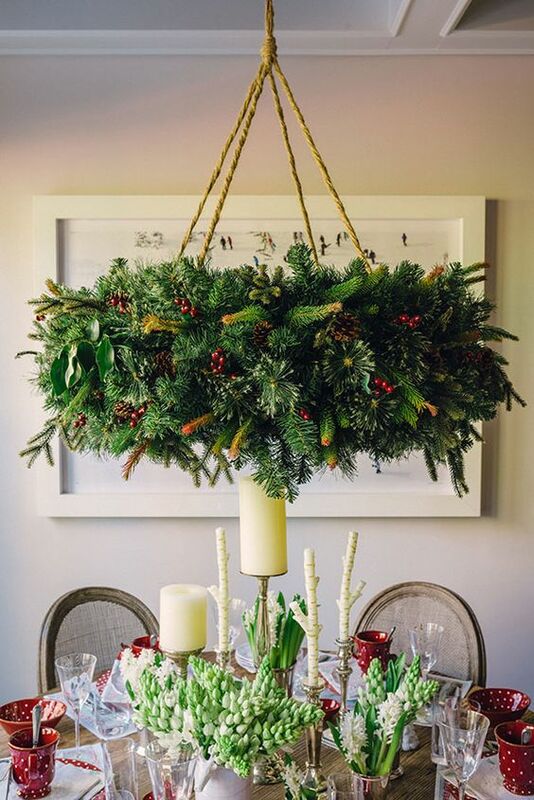 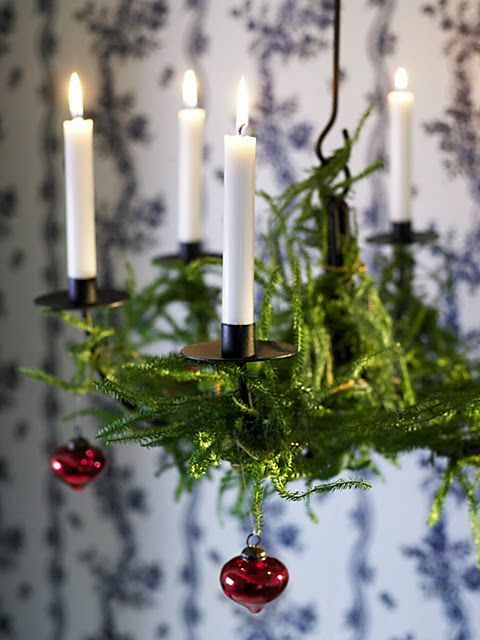 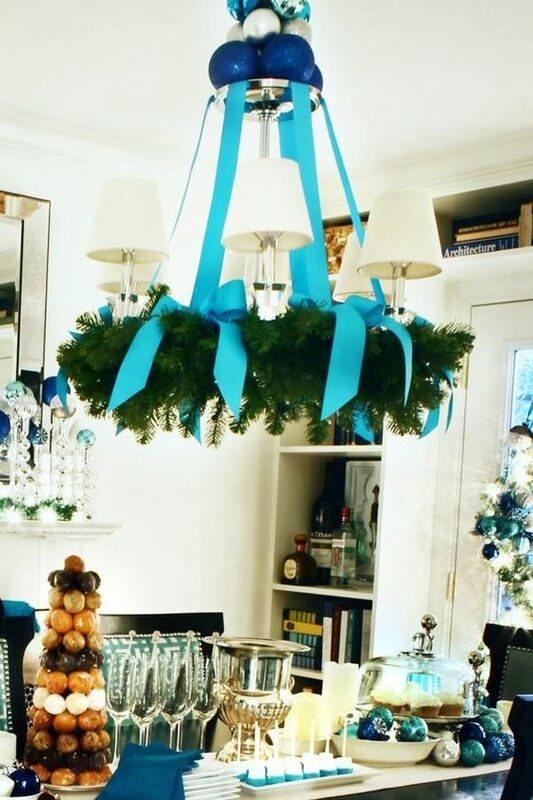 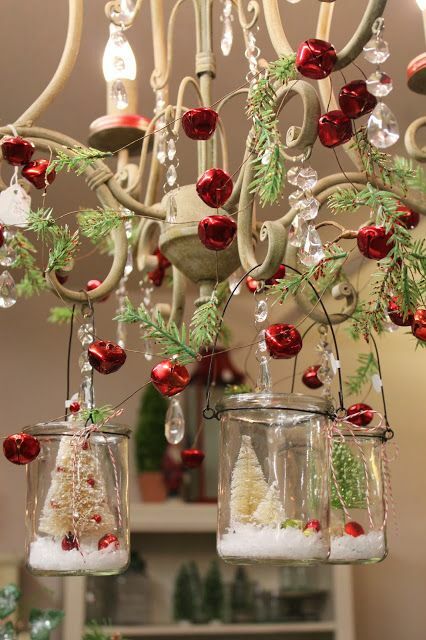 Evergreens and just fir branches are the easiest way to decorate a chandelier for Christmas. 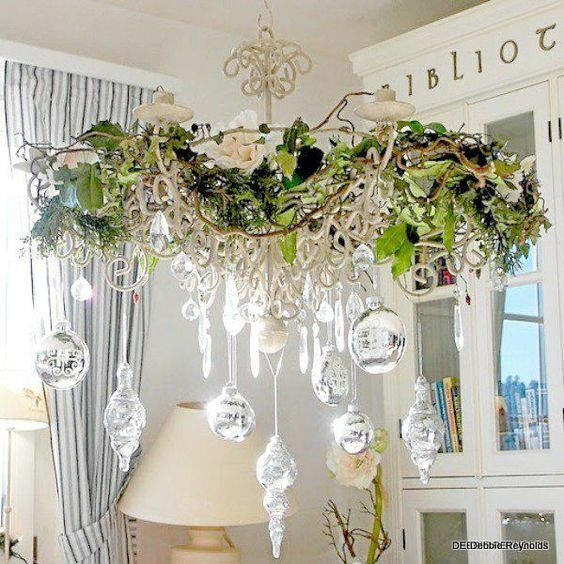 Such décor fits every style and type of chandelier, and you can easily realize this décor yourself in just a few minutes. 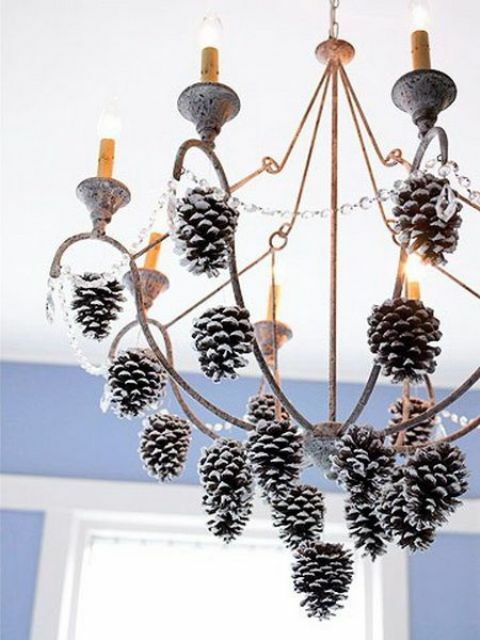 If you think it’s too boring, just add crystals, bows, pinecones, berries or ornaments, such a chandelier looks laconic, chic and a bit rustic, it will add coziness to any space. 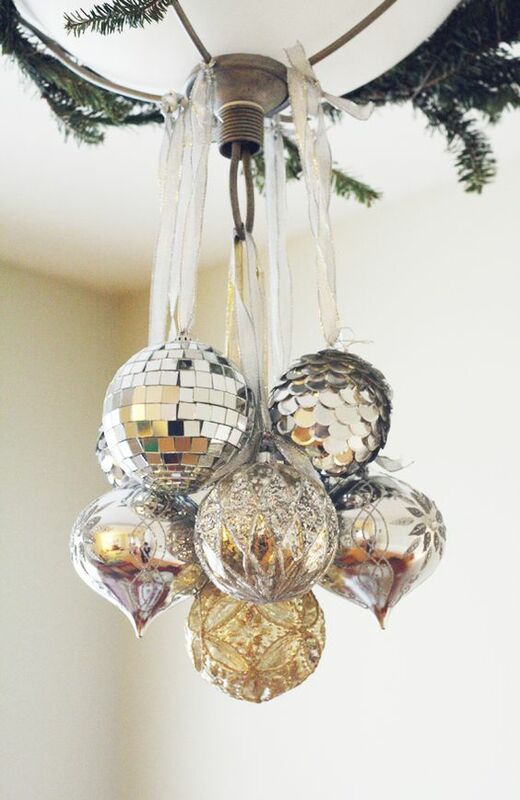 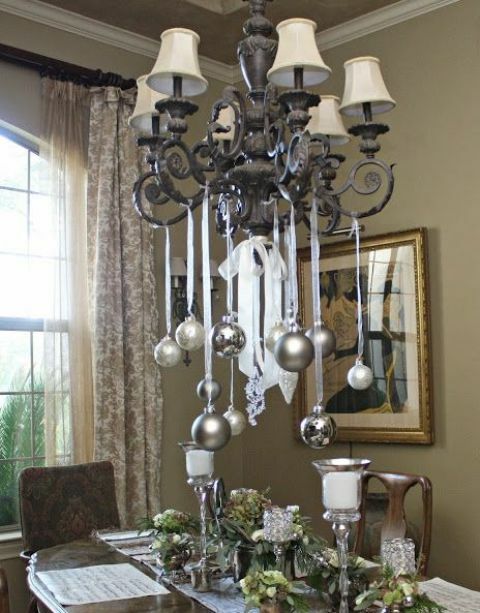 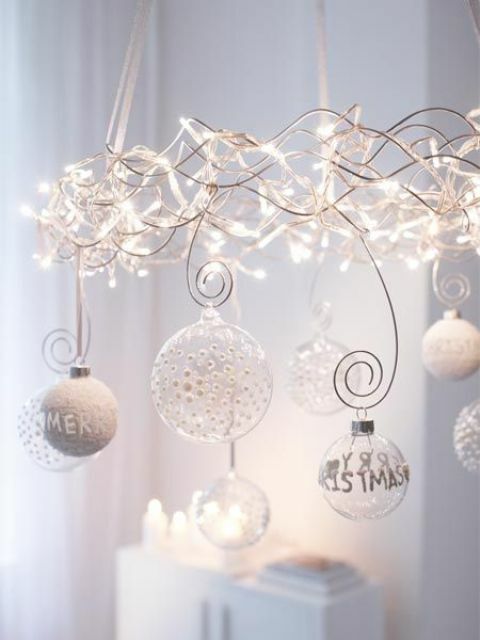 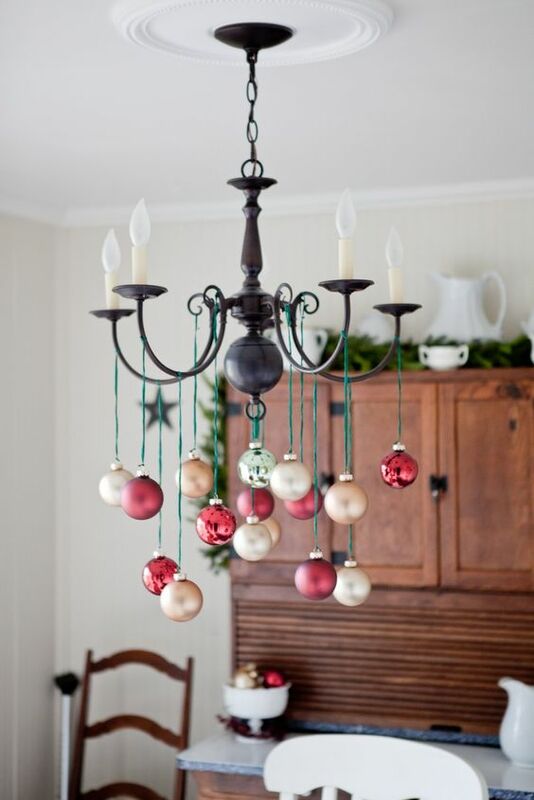 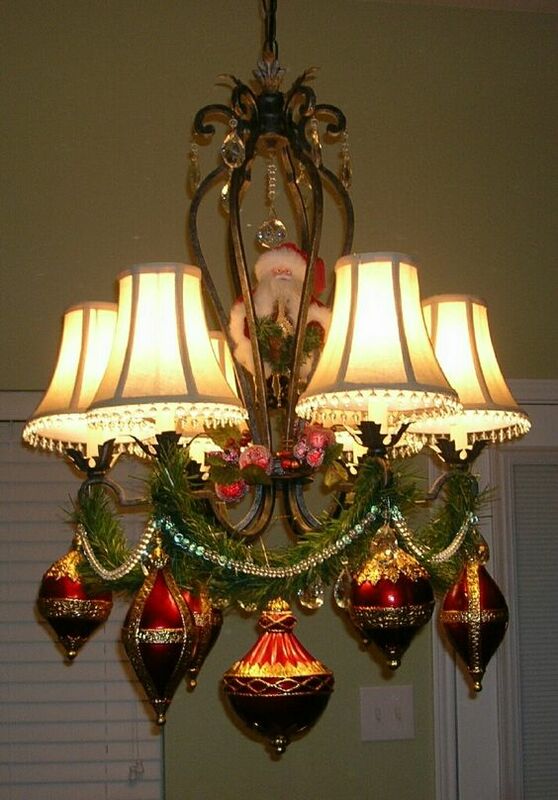 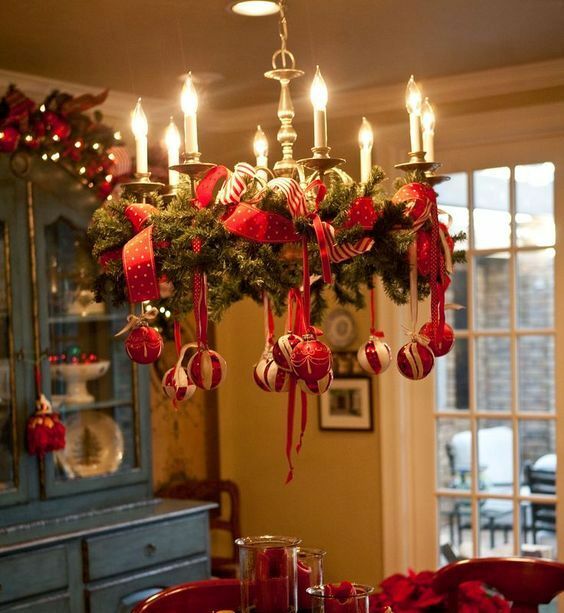 Ornaments are the best and most popular idea for decorating a chandelier. 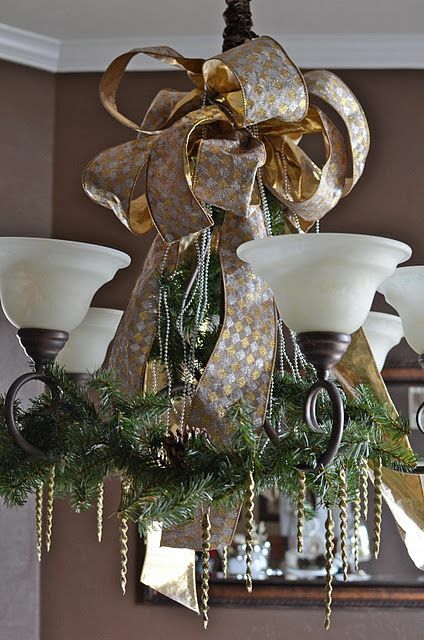 Choose ornaments you like: red, green, gold, silver, pink, champagne, white or black and hang them on the chandelier using beautiful ribbon. 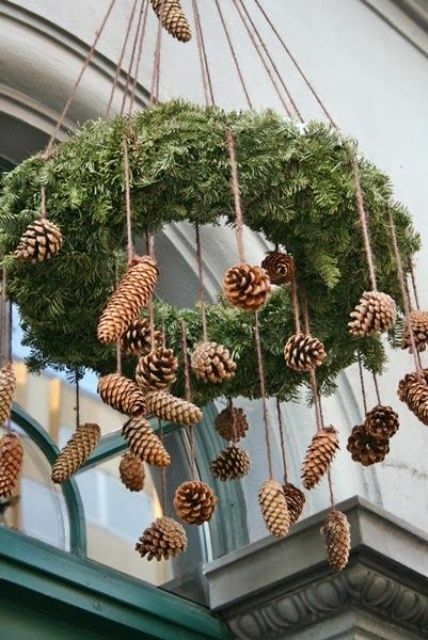 You can combine them with evergreens, pinecones, lights, garlands and other stuff. 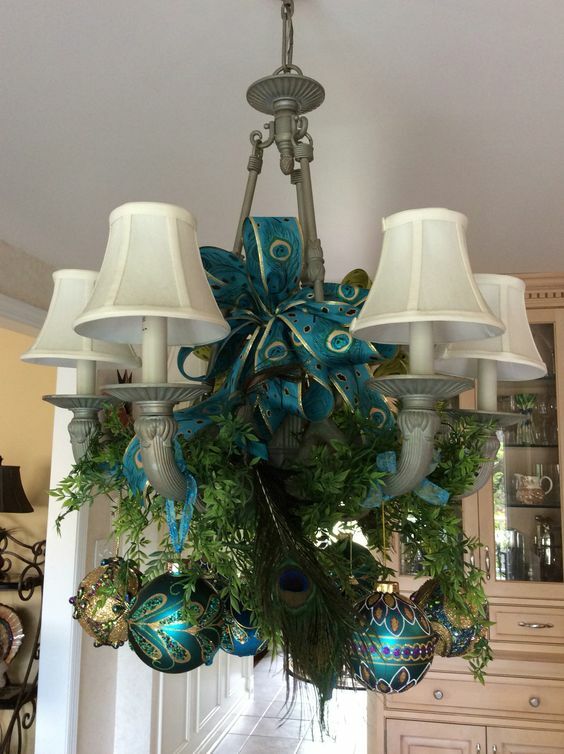 Create your own chandelier art using decorations that you like, mix them in any way, even the craziest one! 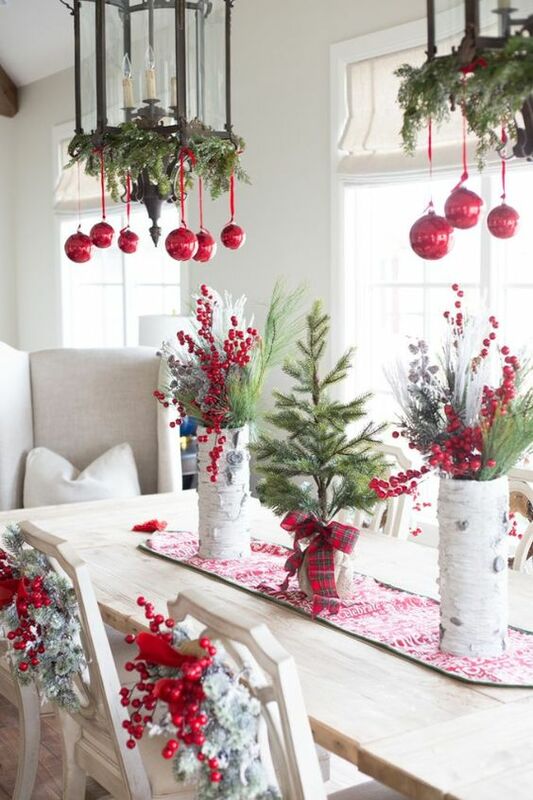 You may also try berries, leaves, jingle bells, pinecones and even lanterns with faux snow and candles. 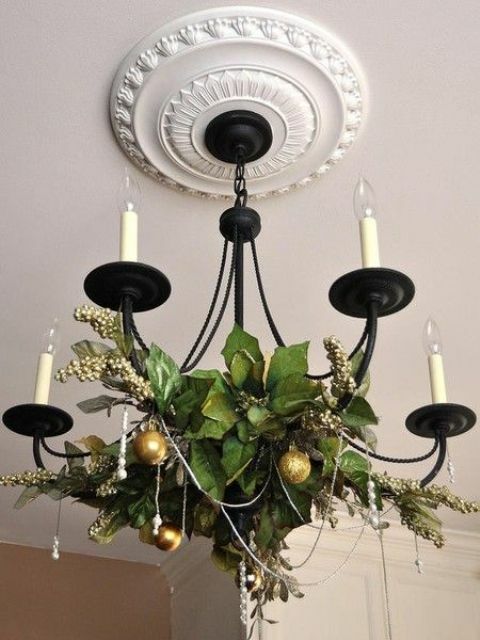 You may also decorate your chandeliers with various Christmas blooms, this is especially cool if you are having some party or a wedding. 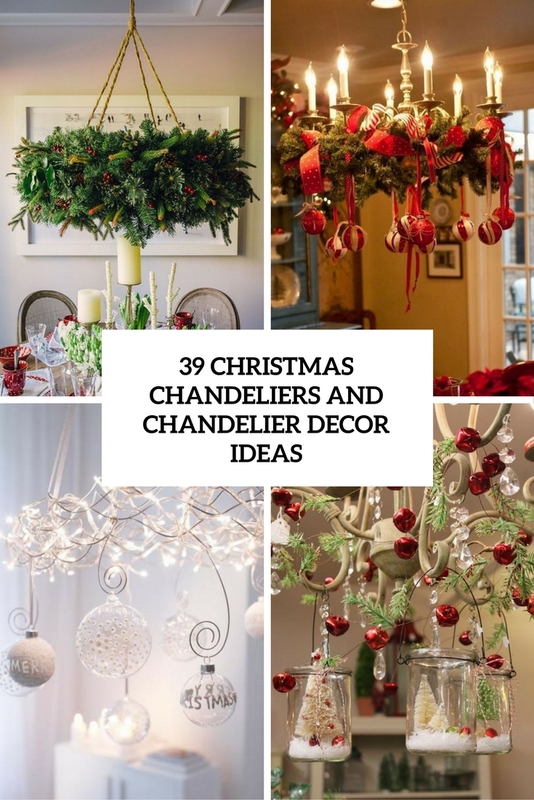 Look at the ideas to get inspired!